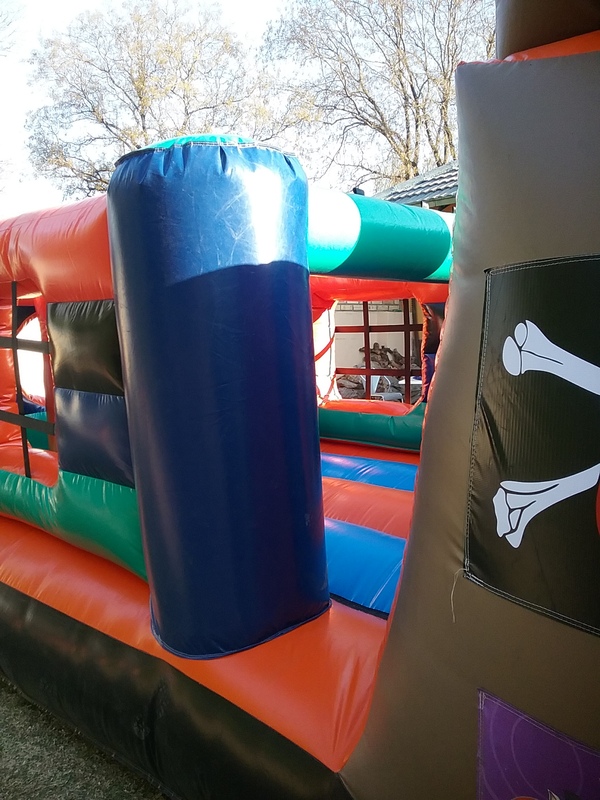 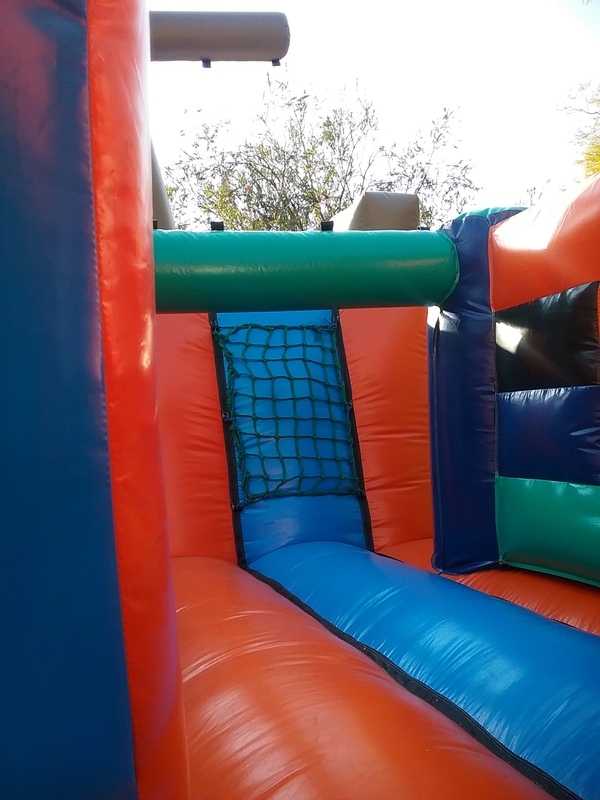 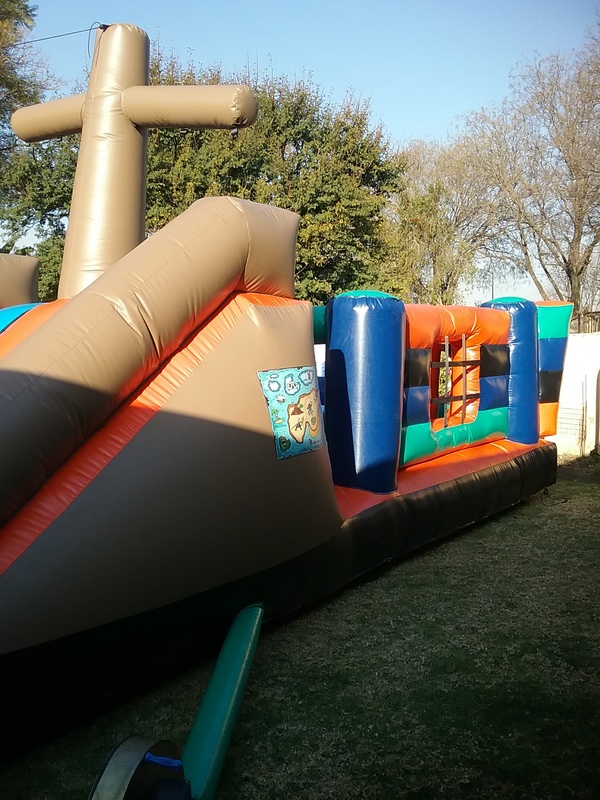 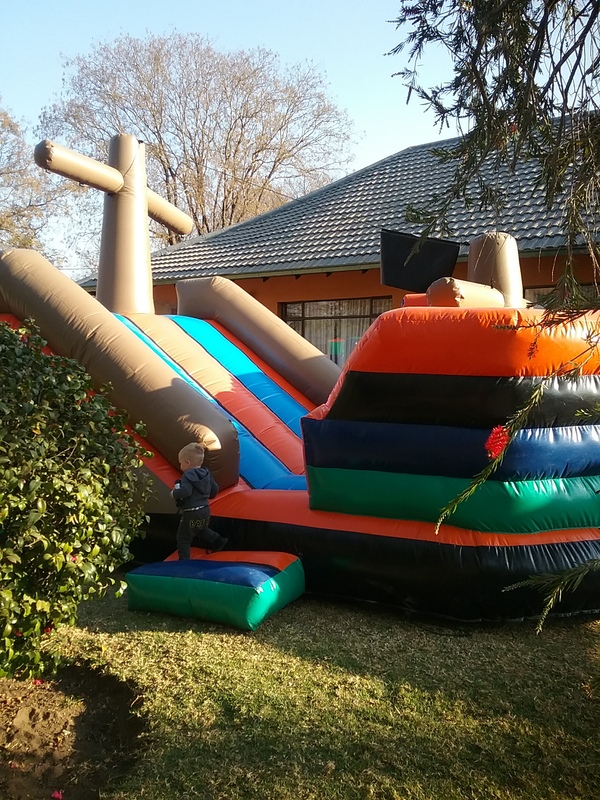 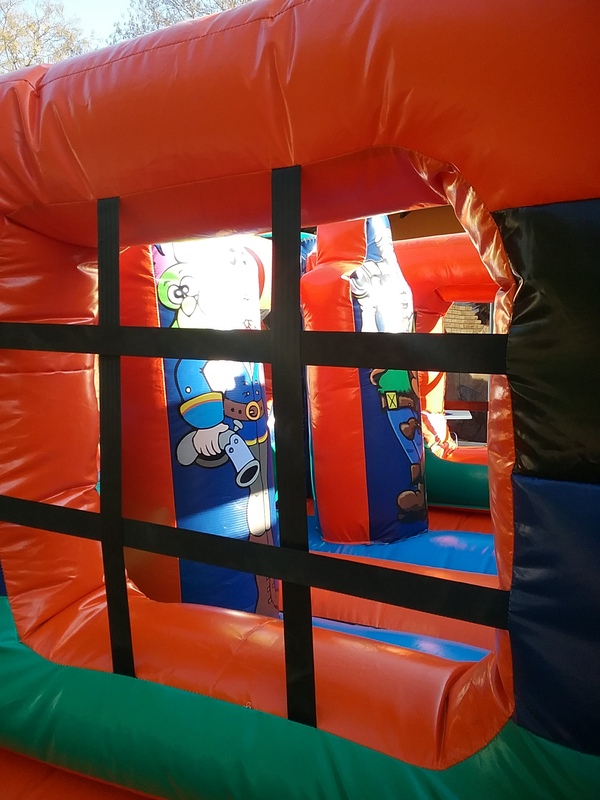 The “Mini Black Galleon” is any young Pirate’s dream Jumping Castle. 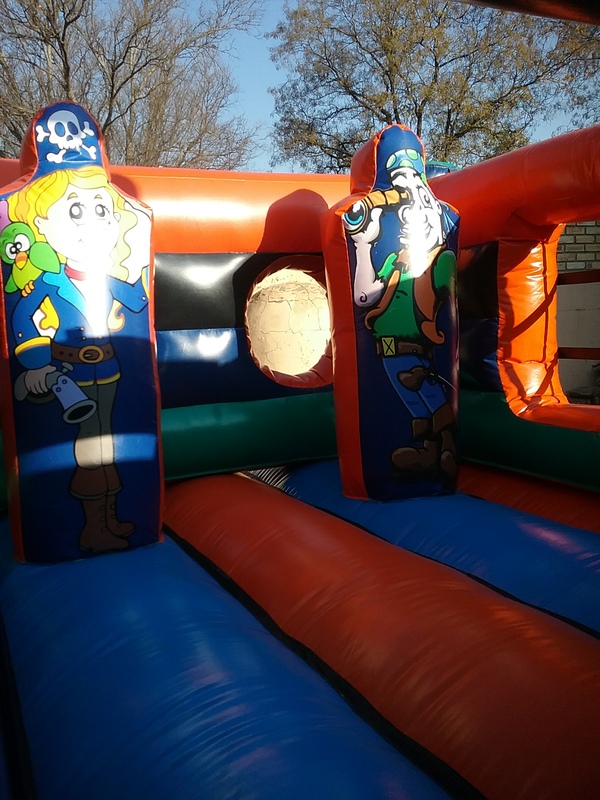 The kids love the knock down pirate figures, plus the New trademark fun ball Cannons (exclusive to Party Animals). 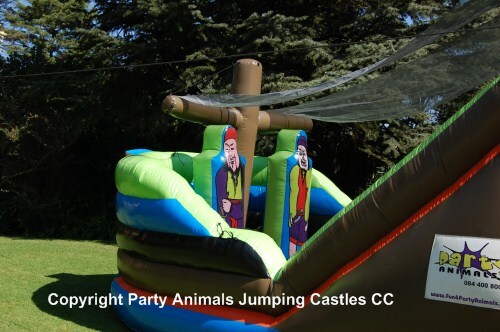 They enter the Captains Cabin from the rear of the Galleon and then climb up cargo nets, to slide down into the front of the Galleon. 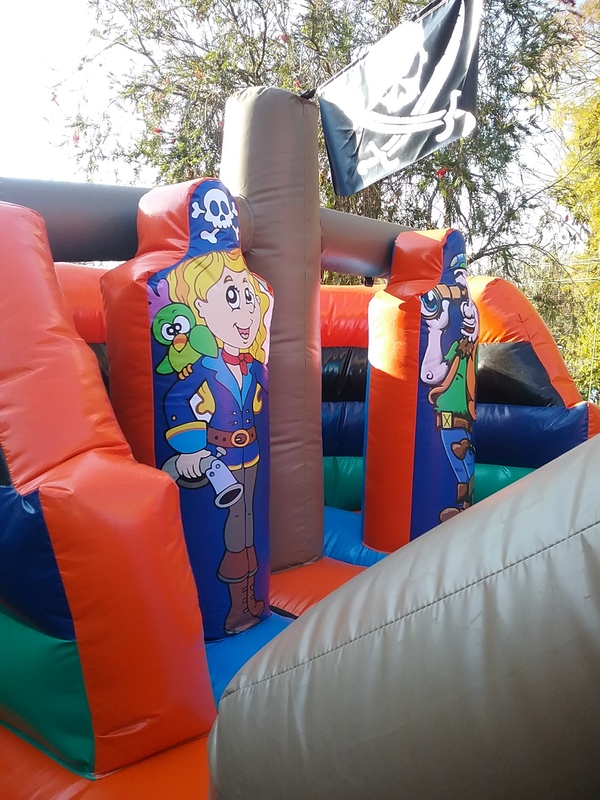 The more energetic pirates can dive tackle the knock down pirate figures. 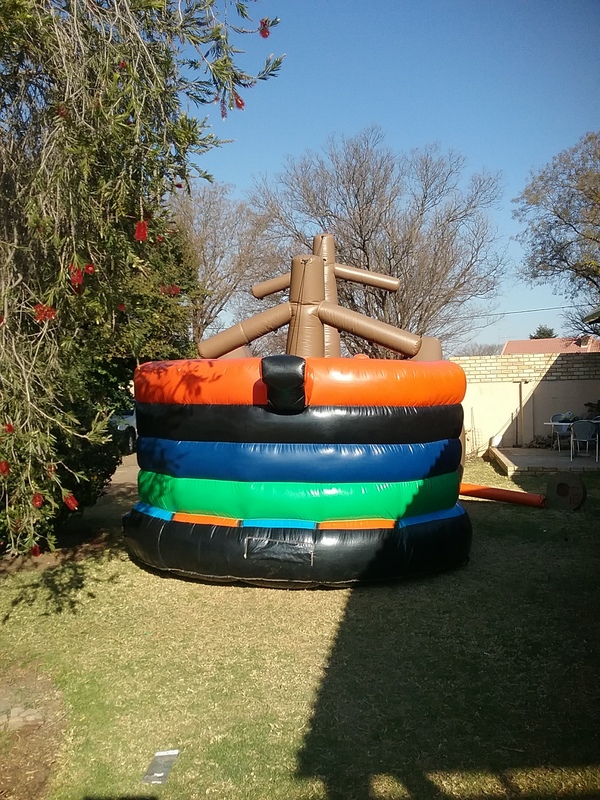 With a bit of help the kids can load the balls into the fun ball cannons and shoot them out of the ship. 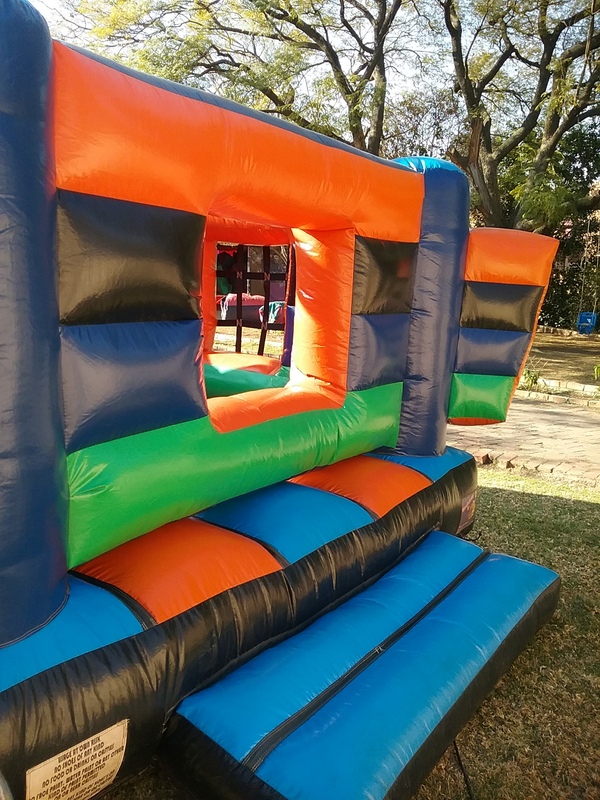 Main colours Brown, Black, Spec Blue and Orange. 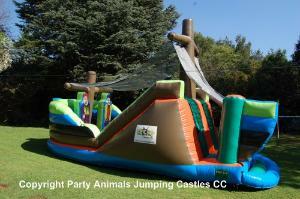 Dimensions: 7m in length, 3.75m in width and 4m at highest point. 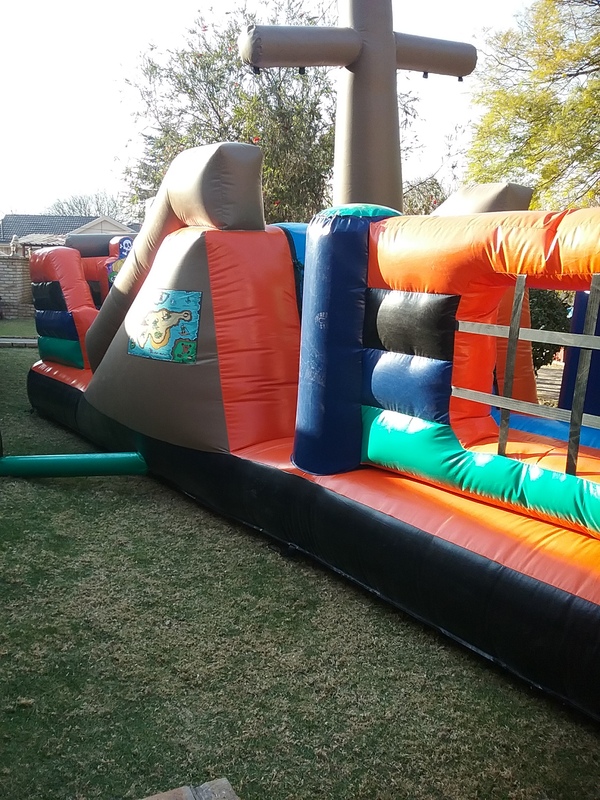 Recommended age groups: 2 to 16 years.